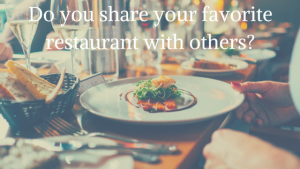 Do you share your favorite restaurant with others? Home / Uncategorized / Do you share your favorite restaurant with others? Quick, think of the top 3 things you enjoy talking about with your friends and relatives. Is your faith one of them? This list of three things may consist of favorite dining places, favorite vacation spots etc. ; however, why do we not put our faith as one of those main points we enjoy sharing? Possibly, we’re not sure how the other person will receive it, and perhaps, it may feel very subjective to where we could feel judged or like we are judging. 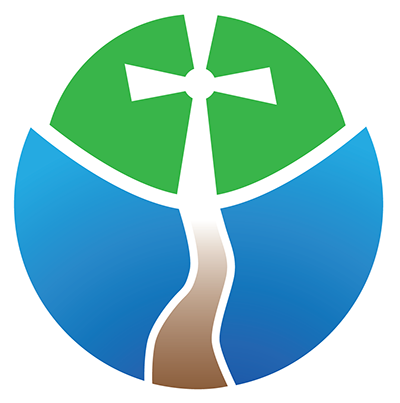 I spent this past weekend, using relit to train a parish up in Superior, Wisconsin on how to break through these barriers of evangelizing personally, but even more so within their parish. It was a very exciting weekend, and I felt very blessed to be part of that group because there was a lot of thinking and discussions that revealed many ah ha moments. Sharing our faith with others can make us feel nervous as well as make us question if we are being judgmental if someone doesn’t believe in the same way we do. However, think of this. If you like a particular restaurant, would you be pushing that on your friend, coworker, or family member if you told them about it? I wouldn’t think so. You would propose the idea of trying the restaurant, not impose the idea. Jesus said we are to share Him with others. I completely understand any hesitancy; in fact, I even get hesitant or nervous if I should share something. However, the fact of the matter is we are called to bring the gospel to people. We need to take advantage of opportunities of sharing our faith with others if they are to learn about Jesus. We may be the only person, hopefully not, that shares our faith with them. We need to propose the idea of how our faith is a part of our life, not impose the idea. If we were to impose it, of course it’s going to come off as judging and rude. If we share what God has done in our life during a difficult trial or even a non-difficult trial, we’re just excited about what God has done for us, we should share that with others. The next time you have a great meal at a restaurant think, “Would I be willing to share this with my friends.” and if the answer is yes, think about that the next time God does something great in your life or helped you get through a challenging time. Would you be willing to share that with your family and friends?